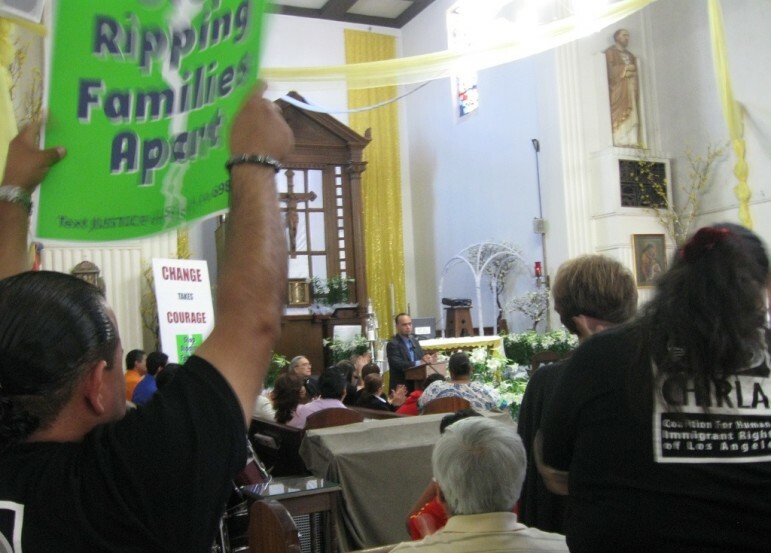 As the Supreme Court was preparing to hear legal arguments challenging the Deferred Action for Parents of Americans (DAPA) and expanded Deferred Action for Childhood Arrivals (“DACA”) programs that would either uphold or negate the president’s administrative action to shield some 4 million immigrants from deportation, a more spiritual drama was playing out in Greece, where Pope Francis visited with refugees on the island of Lesbos. “We hope that the world will heed these scenes of tragic and indeed desperate need, and respond in a way worthy of our common humanity,” Francis told the migrants. The three leaders threw laurel wreaths into the sea to honor those who tried to cross but did not make it to shore. “Many ordinary men and women have made available the little they have and shared it with those who lost everything. God will repay this generosity,” he said. Meanwhile, back in the United States, the GOP-led House of Representatives filed an amicus brief that would allow GOP lawmakers 15 of the 90 minutes provided for arguments in front of the court. President Obama’s administrative order would grant work permits to more than 4 million immigrants in the United States. A federal injunction has held up implementation of the programs until legal questions raised by 26 states are heard. A 4-4 split would leave in place a lower court ruling that blocked it. Push Has Just Come to Shove: What’s Next in the Struggle for Democracy? The need to advocate for civil liberties grows as the federal government expands its surveillance powers.